Soqosoqo Vakamarama president Adi Finau Tabakaucoro. Soqosoqo Vakamarama president Adi Finau Tabakaucoro has encouraged women to value their positions as custodians of natural resources. “Our natural resources are our source of economic empowerment and that was why it’s vital for women to consider their roles as custodians,” Adi Finau said. 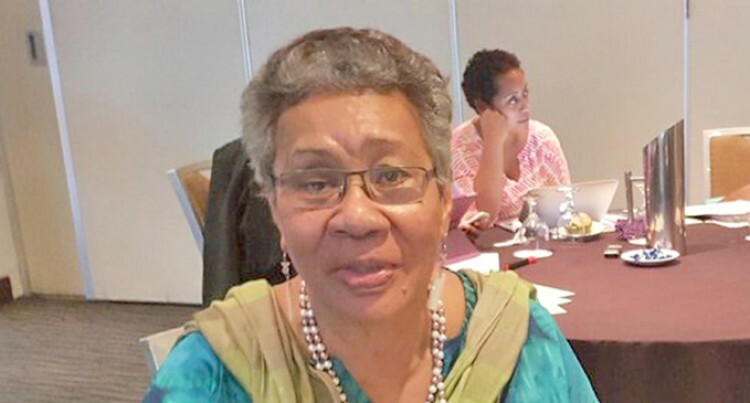 She echoed these sentiments during the day two of the Fiji Women’s Forum and Fiji Young Forum National Convention at the Tanoa International Hotel in Nadi this week. “Everything grows on the land and every development is done directly on it, and this point we need to look after it, and respect ownership of land,” she said. “It’s important that we consider our roles as custodians so we need to get ourselves involved with programmes by Government and do our part in protecting and preserving the environment,” she said. FemLINKpacific representative, Adi Vasulevu said this integration community base approach means carrying activities to achieve respect, rights and safety with dignity. She said the environment is beginning to be a critical concern and women are concerned that their resources are being destroyed due to the recent climate changes. The Fiji Women’s Forum and Fiji Young Forum National Convention feels strongly about the protection and conservation of the environment. They came with a strategic plan for 2017-2019 with the assistance of the Ministry of Women. Social empowerment programmes are already in place and a day is dedicated to plant a tree on November 5th to work against deforestation.